We took our kids to their first Major League Baseball game this past week! 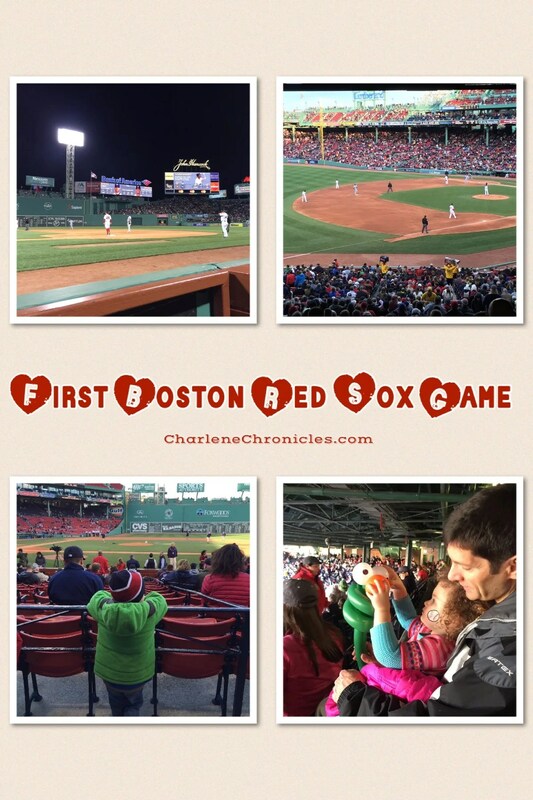 When we told the kids we were going to Fenway Park to see the Boston Red Sox, they were so excited, and we were excited to share with them this ‘right of passage’. First, they were excited to take the commuter rail to the new Yawkey train stop. As a parent, it was very convenient – no car seats, expensive parking or traffic. The cost for all four of us to take the train was $32 round trip (including commuter rail parking). Next, there was a lot to do beyond the baseball game itself. 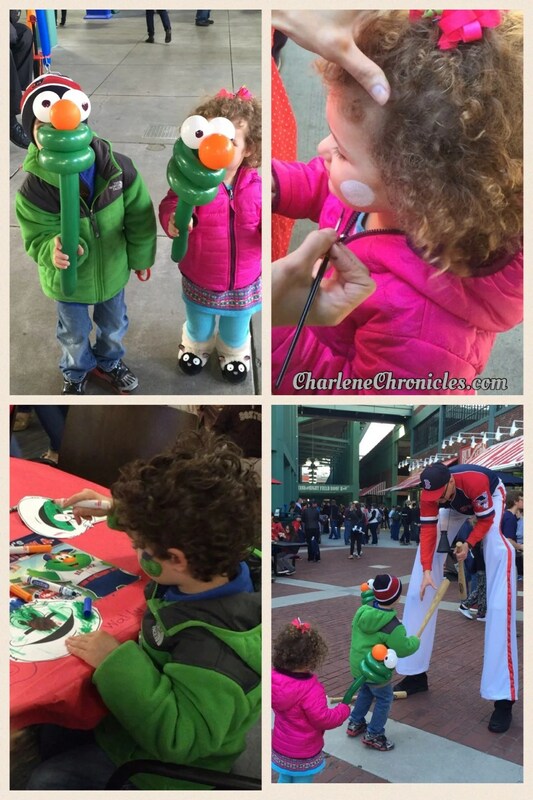 My kids got to enjoy complimentary face painting, and balloon animals (aka Wally). We left a tip but it is optional. My kids got to take pictures with Red Sox items, and enjoy the new Kids Clubhouse. In Wally’s Clubhouse, my son enjoyed coloring and trying to hit a virtual baseball with a virtual baseball bat! He was not a natural (LOL), but the experience gave him a newfound interest in the sport. My daughter was a delight. Even at her young age, she enjoyed the people and the activities throughout the park, but in Wally’s Clubhouse, she loved playing with the various toys. Third, we took our seats, but son’s eyes were glued to the field. He peppered me with questions, and I loved the moment where I could share with him what I learned about the game, just like my parents did for me. It was magical. As you can see from my local blog post here, there are lots of food options for kids so it was easy to find something for them to eat and select healthy options too. We had expected to stay in the park until 90 minutes after the start of the game, but we all had so much fun that we stayed until 10:30pm. The kids were still alert and excited for the train ride home too. It was easy just to walk across the street and grab the train home. It made the experience very family friendly. You can even take it to South Station and avoid the Green Line for the same price. The next day, they wore their new Red Sox baseball hats we had purchased at the game, as well as brought their souvenir baseballs to school. They shared their new objects, and shared their new love for the sport.